10 Things To Do: Get Through the Neopian Winter! 10 Things To Do: Get Through the Neopian Winter! Winter can be a scary time in Neopia… blowing gales, icy streets – and worst of all, the Snowager is at large! Ahh! So, are you thinking of hiding out at Kiko Lake or Mystery Island through the winter? Maybe catch a cloud to Faerieland? These are the best ways to feel warm and free through the Neopian winter instead of shoveling snow to find the Scratchcard kiosk! This light hearted article can help you make the most of your time spent in Neopia this winter. However, like any time of year in Neopia, it is important that you set your own goals and bring them to fruition – of course this is the best way to spend your time in Neopia! Ask yourself this: Do you want to be the trendy Neohome everyone hangs out at in 2019? Do you want to be acknowledged for your advanced modern decorating capabilities? Tired of everyone spending Holidays and Celebrations at somebody else's Neohome? Did you spend Buzz Day alone in your home last year? With the New Year already upon us comes new trends. Who doesn't want to have the trendiest house and be the one to host all your Neofriends at your place?! You may not have a lot of Neopoints to spend on renovation, but these 5 inexpensive items under 5,000 Neopoints for each item could make your Neohome look more modern right away and will guarantee to impress all of your Neofriends. So you want to show you have exquisite taste? Then without further delay, let's get started! 28th of Hidding, Y17, a strange object popped up in Neopia. "Its for one of the greatest challenges! ", they said. Well, I don’t know where it came from, but I guess it was made by a very malefic mind – maybe some mad scientist who had nothing better to do with his time. The true is that when I saw that beautiful and colorful toy, I had to buy it. It seemed very fun, and my baby neopet Val always loved to solve puzzles. Spoiler alert: it was a terrible idea. It began with a letter, crisp and regal, the envelope a milky white; I read the writing multiple times just to make sure it was not mistakenly delivered to me. Yet there it was, my name, in the most pristine and smooth handwriting I had ever seen: Sir Vorack of Neovia You have been summoned to dine at Cedar House, this very evening. Wear your Sunday's best. No guests. And at the bottom, instead of a signature, was a stamp of an upside down question mark. How odd it was that I, a lowly archivist, getting such an invitation - and to an estate, no less! Quickly, I cleaned up, dressed in my finest silk suit, top hat and my good pair of glasses. Grabbing my bag, which carried my notebook, ink, quills and keys, I headed out into the fog. The night was colder and darker than it usually is at this time, and the fog was as thick as the moon was bright. The silence was eerie; not a noise could be heard other than the shuffling of my own feet. I couldn't tell where I was nor how long I had been walking, but I continued to head west, in the direction of the estate. Suddenly, a chill crept up my spine as a warm and shuddering breath spread across the nape of my neck. As someone who has spent his life discovering and investigating the wild inhabitants of Neopia, I, Randall, have had to risk my life many times. Last week I detailed out my time exploring Terror Mountain and how I got attacked by a family of irritated Snow Beasts. That was only one of many times I have had to go deep into a land of danger to try to obtain new information. Not all of my missions are successful, sometimes places are far too dangerous or far too shrouded in mystery. I've made countless attempts to visit Lutari Island, a place that was open only briefly for a very select number of visitors, a place that has since closed off and exists in only memories. My dream is to get there someday and play Coco Roller, a game famed on the island, one of the few things we know the inhabitants do for enjoyment. Until then, there are many more islands available for exploration, and not even far from home. 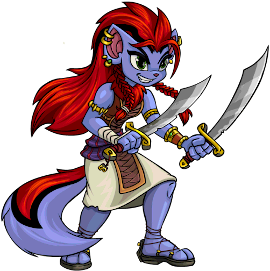 --- I'm from Mystery Island originally, yes I know, so original for me to be an Island Kougra and be from Mystery Island. But I think it is important to get to know your homeland, as important as knowing the world around you. This week's issue is brought to you by: In need of some new backgrounds? As someone who has spent his life discovering and investigating the wild inhabitants of Neopia, I, Randall, have had to risk my life many times. Ask yourself this: Do you want to be the trendy Neohome everyone hangs out at in 2019? Do you want to be acknowledged for your advanced modern decorating capabilities? Tired of everyone spending Holidays and Celebrations at somebody elses Neohome? Did you spend Buzz Day alone in your home last year?